The next time you’re outside I’d like you to do one thing, I’d like you to look at the earth around you and count all the unsightly details left strewn across your path. My bet is that you will see crisp packets, sweet wrappers and cigarette butts to name but a few. Together they litter our environment in their diminutive form, often ignored by our cognitive mind in their day-to-day passing. 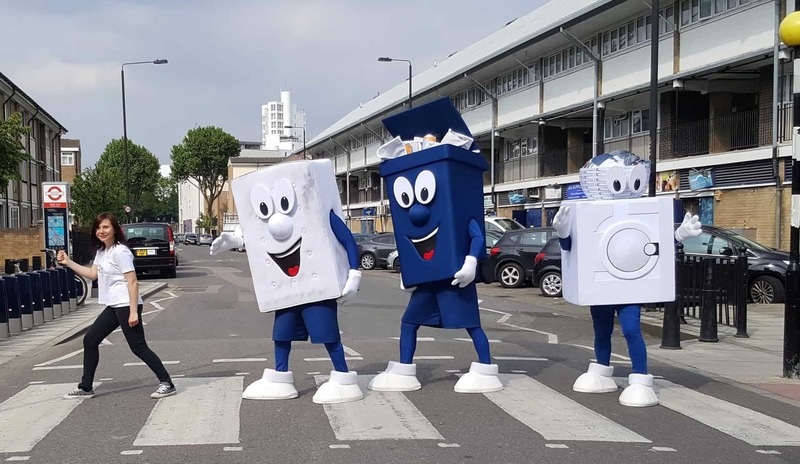 However, this is not the case for our latest client – One Housing – who has a far greater problem than just a few crisp packets! 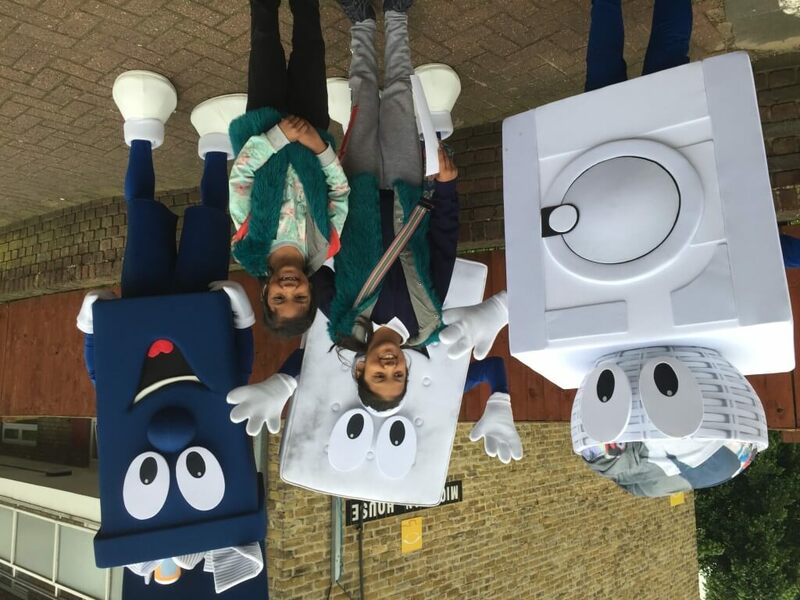 Based on the Isle of Dogs in London, One Housing looks after a number of council estates in the area and they are witnessing an ongoing problem of large scale illegal dumping of unwanted goods, with fridge freezers, mattresses, ovens and sofas only some of the items being dumped on their streets. This is having huge cost implications, with over £100,000 wasted last year to clear up the mess being dumped everyday. As a result, One Housing asked GottaBe! 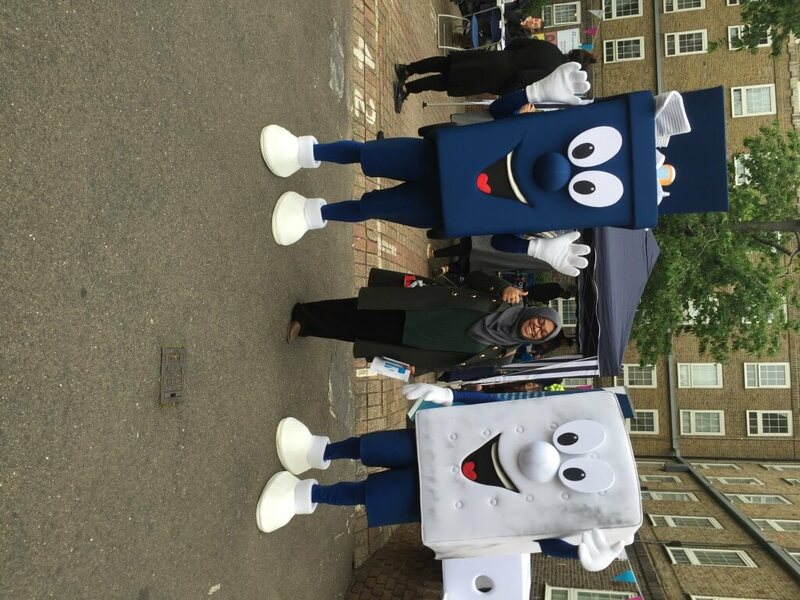 to run a field and experiential marketing campaign to highlight the issues with the residents across the council estates. In order to maximise the spread of the campaign, we wanted to do something a little different to draw attention. 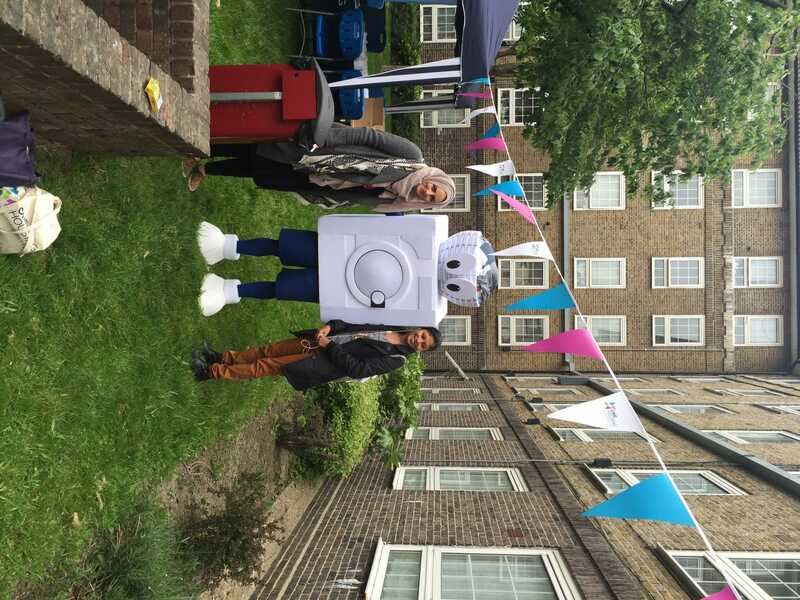 Therefore, we had 3 costumes designed and created – a washing machine, a mattress and a wheelie bin – to create a buzz when interacting with residents on the estates. 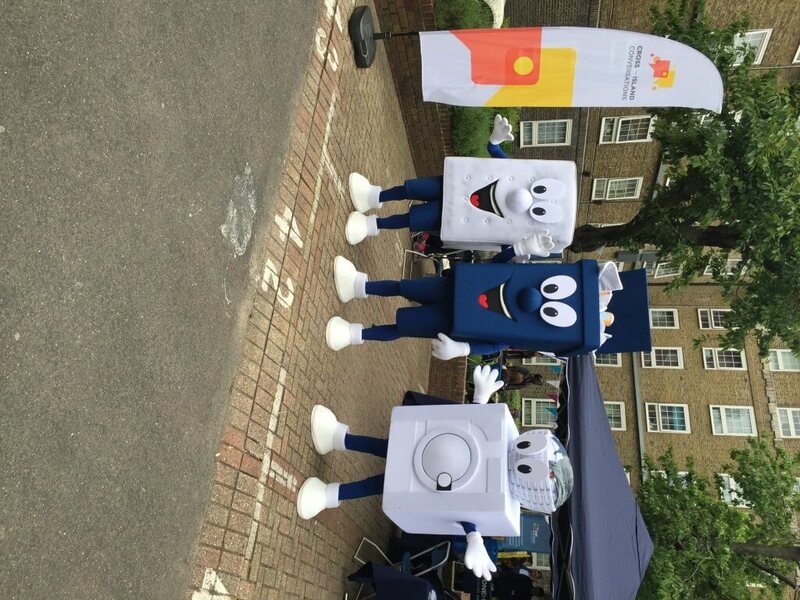 As well as providing Brand Ambassadors to wear the costumes on each of the 4 Island Estate Days, GottaBe! 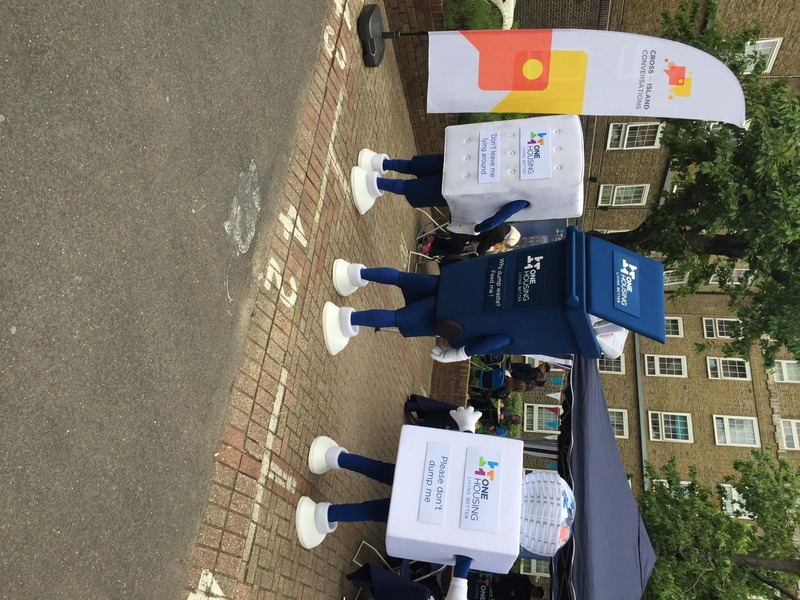 also provided a Brand Ambassador to hand out goodie-bags including mini-wheelie bins, leaflets and pens. The campaign has been a real success with a great awareness made!